The Environmental Supply Method 23 Sampling System uses a standard Method 5 system with the the addition of a riserless Method 23 extension glassware. This extra glassware consists of the "S" connector from the filter, horizontal Pyrex coil condenser, XAD sorbent trap and moisture knockout impinger. We also carry the vertical Pyrex coil condenser for use with a riser box that will accommodate the extra height required by the condenser and XAD trap mounted on top of the first impinger. An 8-impinger coldbox is recommended to accommodate the required M23-RC coolant recirculating pump, the standard Method 5 impinger set and the Method 23 extension glassware. This Method 23 Sampling System can also be used for Method 0010, Determination of Semivolatile Organic Compounds. 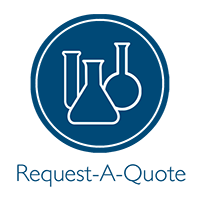 For additional information on Method 23 from an analytical standpoint, please see our Dioxin/Furan Solution Page.